Robert Dallek is a professor emeritus in history UCLA, and the author of the forthcoming “Franklin D. Roosevelt: A Political Life.” This op-ed appeared in the New York Times. Donald J. Trump comes into office on Friday with an agenda largely built around tearing down that of his predecessor — rescinding executive orders, ripping up the Iran nuclear deal, backing the repeal of Obamacare and withdrawing from international climate change agreements, to name just a few of his possible first steps. Mr. Obama’s critics were quick to point out that this simply wasn’t done. Presidents are supposed to slip off the stage, take up hobbies and charities, let their successors have a go at it. But that hasn’t always been the case. True, many presidents have moved off quietly: Herbert Hoover, Dwight D. Eisenhower, Lyndon B. Johnson, Richard M. Nixon and George W. Bush, who said that his successor “deserves my silence.” Jimmy Carter and Bill Clinton pursued politics by other means through philanthropic and human rights endeavors. For many, writing memoirs provides a calming withdrawal from the hurly-burly of political disputes and frustration at congressional opposition that blocked at least parts of their agendas, and foreign adversaries who opposed their designs for peaceful relations abroad. But other presidents have taken a different route. Harry S. Truman, for example, spent several years in semiretirement, writing a two-volume defense of his almost eight years in the White House. But in 1960 he returned to politics. He despised Vice President Richard M. Nixon, but he detested John F. Kennedy’s father, Joseph, even more. The elder Kennedy was a strident critic of Franklin D. Roosevelt, and Truman joined Eleanor Roosevelt in raising questions about the younger Kennedy’s youth and inexperience. Though Roosevelt eventually warmed to Kennedy, Truman never did. Then there’s Theodore Roosevelt, who already had his share and more of hobbies and adventures to tend to in 1909, but nevertheless spent his early post-White House years lambasting his successor, William Howard Taft. Roosevelt was so incensed by Taft’s coziness with big business and his apparent lack of interest in his predecessor’s progressive agenda that he ran for the presidency in 1912 as a third-party candidate. All of these ex-presidents made their choices under fairly conventional circumstances — what Mr. Obama called “normal back-and-forth, ebb-and-flow of policy.” Taft didn’t come into office promising to erase Roosevelt’s legacy. But these are not conventional circumstances, which is why it’s not surprising that Mr. Obama has no intention of entirely retreating from the political ramparts. 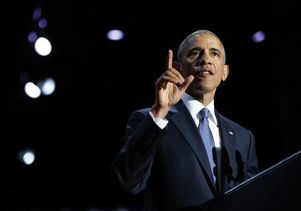 He sees some of his achievements — on health care, on the climate accord, on voting rights — as not just policy successes, but as expressive of what he sees as fundamental American values outside the usual political give and take. It’s likely, though, that a good part of his motivation is personal. Mr. Trump entered politics with the “birther” movement, and his attacks on Mr. Obama’s record have been unprecedentedly harsh. To be sure, past candidates for the office often took on an opposing party’s incumbent — Roosevelt did not speak softly about Hoover’s failures, nor did Kennedy shun criticism of Eisenhower’s record, going so far as to create the “fake news” of a missile gap with the Soviet Union. 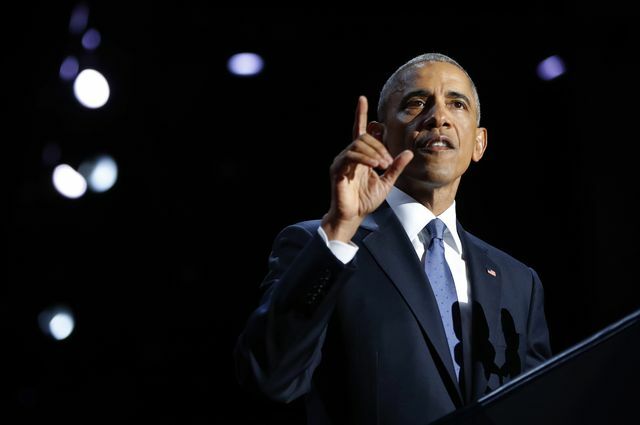 But Mr. Trump’s rhetoric suggesting that Mr. Obama has driven the country into a ditch and that he would make America great again is far beyond the criticism leveled at predecessors. Those wary of an overactive ex-president should remember Mr. Obama’s reputation for considered tact. He has been a perfect gentleman in responding to Mr. Trump’s overheated rhetoric about his record, welcoming him to the White House and keeping quiet about his unpresidential combativeness after narrowly winning an electoral-vote majority. It is unlikely that he will become a firebrand out of office. But to sit quietly and allow Mr. Trump to break the tradition of silence about a predecessor’s achievements and to shout his intentions to tear apart everything he holds dear is a challenge to political combat that Mr. Obama cannot — and should not — ignore. President Barack Obama speaks during his farewell address at McCormick Place in Chicago, Tuesday, Jan. 10, 2017. 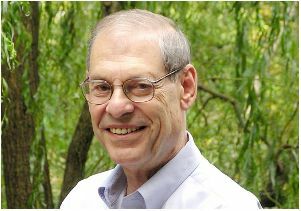 Robert Dallek, professor emeritus of history at UCLA.